I have a new cycling companion. Fellow kiwi Reuben is also heading in the same direction. It will only be for a short time because I am on a slightly tighter time frame. It was a short stay in Sofia. But was slightly longer as we tried to find our way out. We ended up taking the motorway for about 15 km before we picked up the old highway which was great. Even in Bulgaria you get a few toots and today we even had a train giving us a toot. After 6 days of luxury of motels and hostels I finally wild camped in a field amongst some tress about 200 meters from the main road. 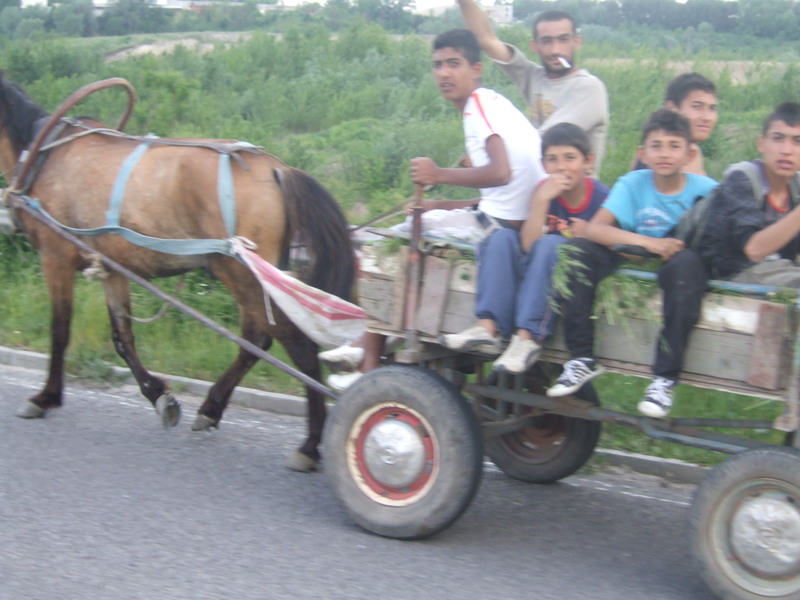 Since moving out into rural Bulgaria the sight of a horse and cart often with a whole family on board has become a recurring sight. Have had to pass a fair few. The cycling day was cut slightly short as a thunderstorm started as we came in to Plovdiv. We didn’t need a second thought and checked into a hostel. We ended up having the whole place to ourselves. The staff went home at 10 pm so we did some sneaky washing. Wasn’t long and the sun was back and we headed up to the top of the hill passing the Roman amphitheatre and stopping for a beer. We are now less then two days from the Turkish border. We might be going into Greece first for a short stint to get hold of some much needed Euros for the later parts of the trip such as Iran and the Stans. Istanbul has been scrapped from the itinerary and will instead now head down the Gallipoli peninsular. After having a Kuba and a sweet pancake. we cycled out of town and at the first chance we took our bikes off the road and set up camp a good couple of hundred meters from the road on a cliff above the river. Three countries in one day. 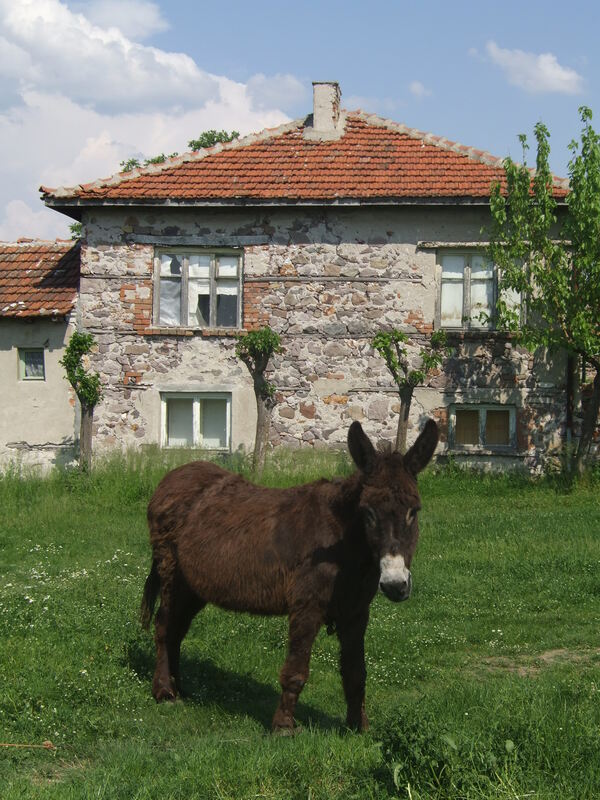 Bulgaria for breakfast. Turkey for lunch and Greece for dinner. 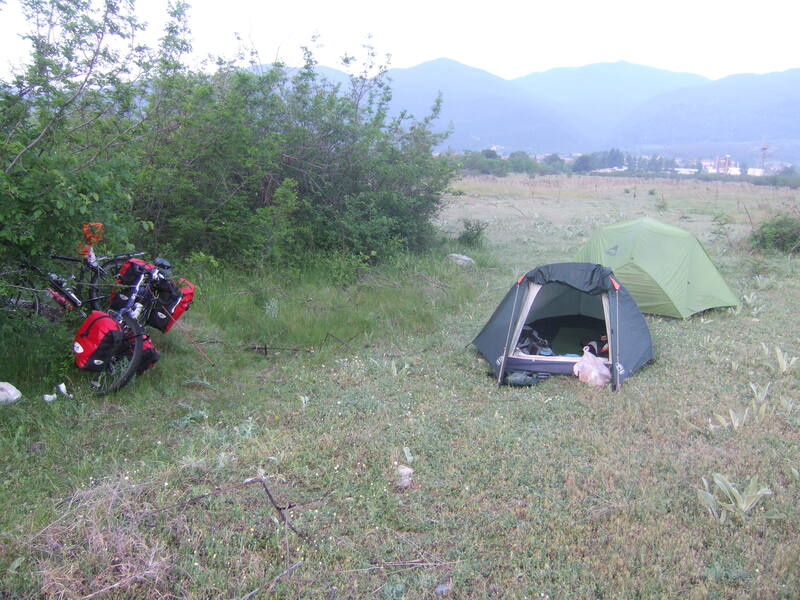 Started the day camped on the side of the road near Himali less then 50 km from the Turkish border. We cycled for a few hours and stopped at a bakery in Seadg for breakfast. 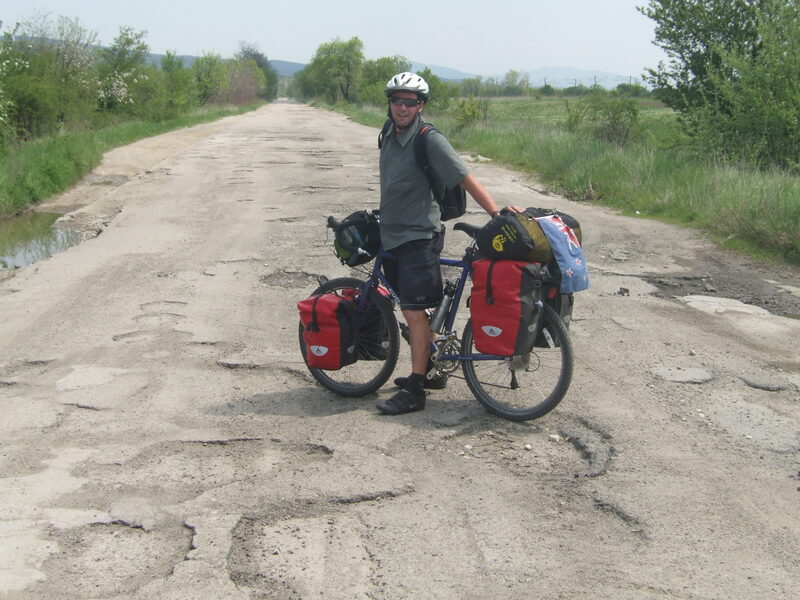 We then cycled on to the Border which was very quiet and we soon crossed over into Turkey. It was a real buzz crossing into Turkey. It feels like a real sense of achievement. This was one of goals I had set myself before I left London. 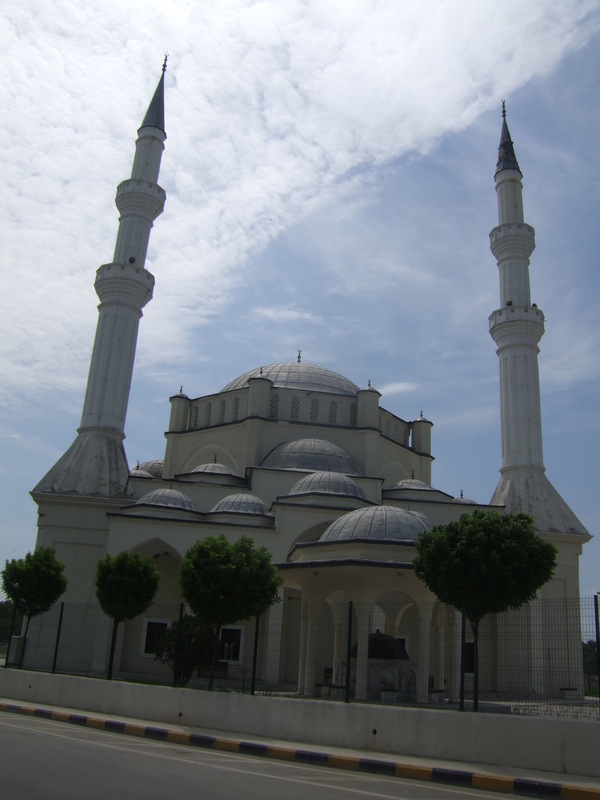 I pulled a swifty on the border leaving Bulgaria on my British passport and then entering Turkey on my New Zealand passport to avoid having to pay £20 for a visa……..14 km from the border We stopped in Edaine for Lunch. Got our first call to pray. Only after just a few hours we were then heading for the Greek border. Just a small crossing we had to wait for them to get back from their lunch. Once in Greece we started our journey south following the river which is the border between Turkey and Greece and where in a day or so we will cross back over the border into Turkey after using the better quality Greek roads. We stopped a few hours earlier today finding a spot above the road on hard rock. After a hard day’s cycling you can sleep on anything. About 10 pm…………I could hear the call to pray from the Turkish village on the other side of the river.